WooCommerce makes it easy to bring your store online and sell digital goods and services. With bookings plugins, you can enable your visitors to book their appointment online and pay for it. 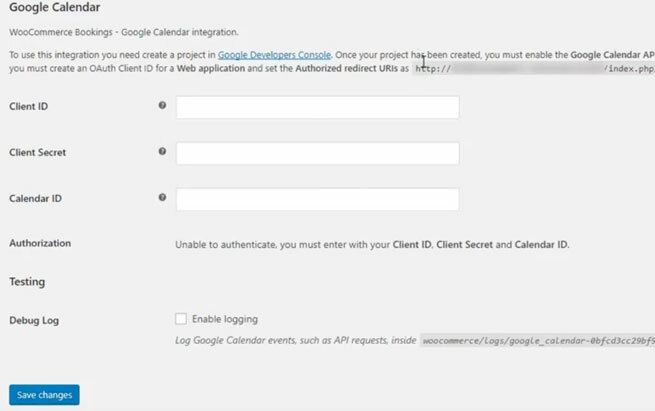 The WooCommerce Bookings Google Calendar Sync makes your life even easier. It supports two way sync in auto and manual modes. For starters, you will need to have WooCommerce Bookings installed. You will also need to have your Google Calendar credentials. Once bookings are complete, you will be able to view them online and manage your schedule conveniently. wpexpertsio is the CodeCanyon programmer behind this script.